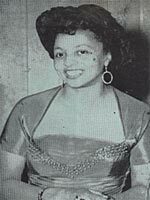 Gamma Phi Delta Sorority, Inc. was founded in February, 1943 at the Lewis Business College (Lewis College of Business) Detroit, Michigan by Mrs. Elizabeth Garner, an instructor at the College, assisted by her sister, Mrs. Violet T. Lewis, owner and President of the College. In 1943, our Founders chartered a course into the world of Freedom for Gamma Phi Delta. They stepped forward with bold courage and enthusiasm, leaving us a clearly marked trail to follow. No doubt there were many times when they became weary, nevertheless, the well-marked trail was left. We pause and look back at the hope and love each had for Gamma Phi Delta and because of their determined efforts on its behalf, we are inspired to Excellency - we are compelled to Move Forward. In celebration of their 40th Anniversary, Charles H Wright Museum inducted names of 40 Detroiters into the Museum’s Ring of Genealogy, at which time 40 brass plates bearing each name was installed in the rotunda floor. The Detroit 40 are individuals who had made significant achievements in African American History. 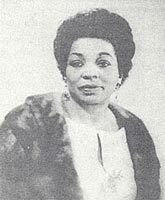 Soror Violet T. Lewis (1899-1968) was honored for Founding Lewis Business College in Indianapolis, Indiana at the request of the Detroit Chamber of Commerce in 1929. She also founded Detroit’s Lewis Business College and was Co-Founder of Gamma Phi Delta, a businesswomen’s sorority with 87 chapters nationwide.